"Let's have some fun this beat is sick, I wanna take a ride on your disco stick." I just finished this order for a co-worker. 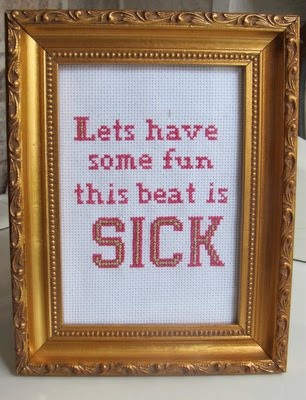 omg i want a lady gaga lyric in cross stitch form! make me one big sister!